So yesterday you heard all about my visit to Pink Castle Fabrics. Today I'm sharing the blogger bundles I put together while I was there! The first one is called Fabric Fiesta, and it's sitting on my cutting table just begging to be turned into a picnic quilt! Maybe with some natural linen mixed in? I took a few of the Maya prints by Leah Duncan and pulled in some basics to coordinate. I love that dotty stripe print so much! Next is Holly's Road Trip, which is a pretty perfect name don't you think? The naming was all Brenda! This one happened by accident while we were cutting the fabrics I had picked out to bring home. The bolts were stacked up next to each other and I just couldn't resist. The beginnings of a bundle for sure. More wonky stars perhaps? If only I had more time to sew! Making these was so much fun, thanks Brenda for the opportunity! Head over to Pink Castle Fabrics to pick up one for yourself if you're interested! 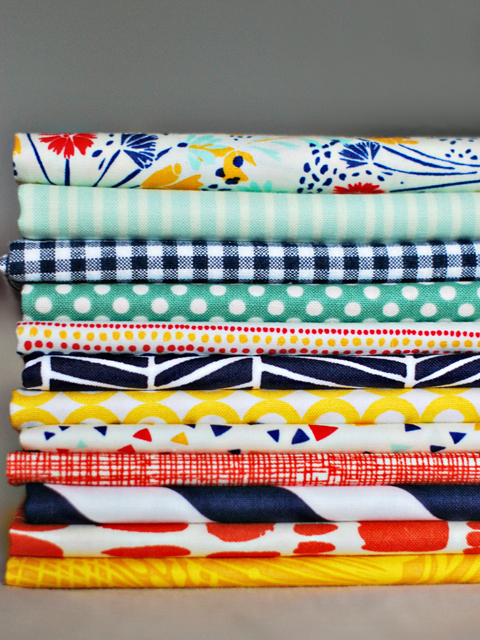 i think fabric fiesta is calling my name! love those colors. Oh, I love them both!! And, their names, too! how fun... she stocks really great blenders. 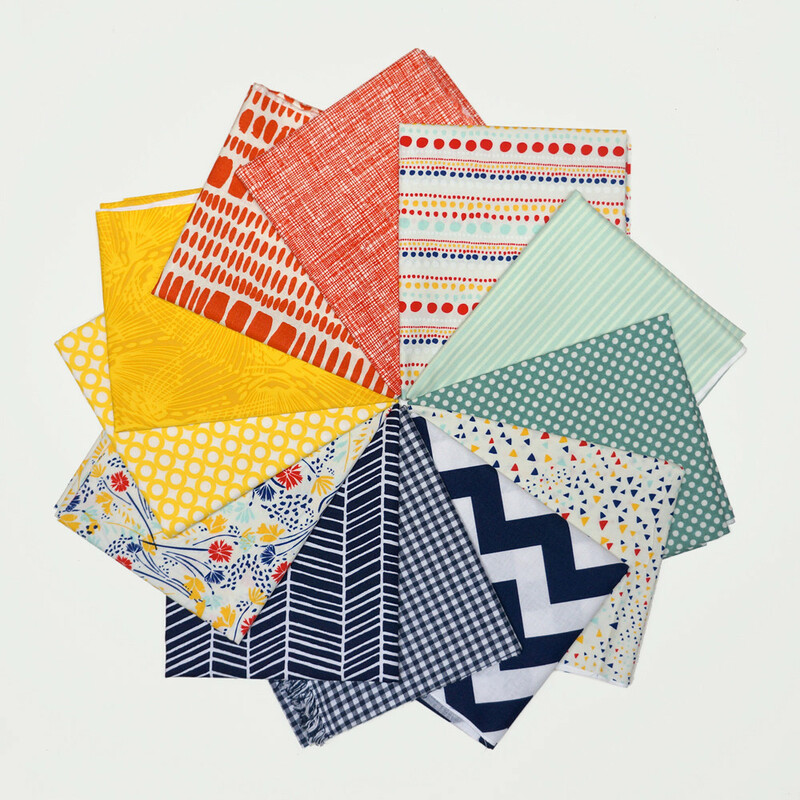 Fabric fiesta is fabulous! Wish I had some spare time to tackle a project with it. Perfect colour co-ordination. 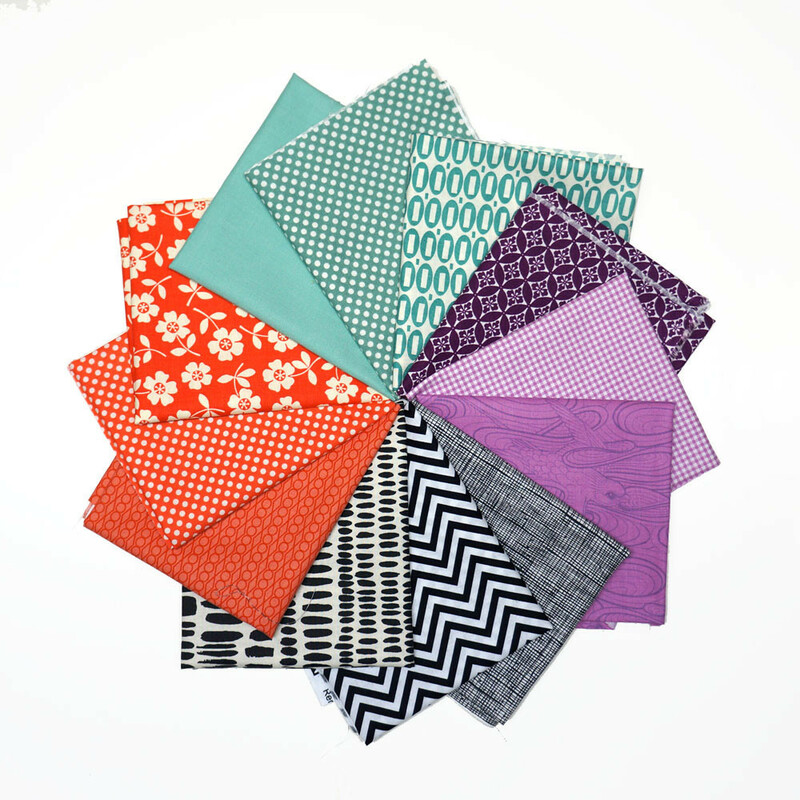 i love them all so much but i think fabric fiesta is the best! it is going to make a perfect picnic quilt! I love both of your bundles so much. 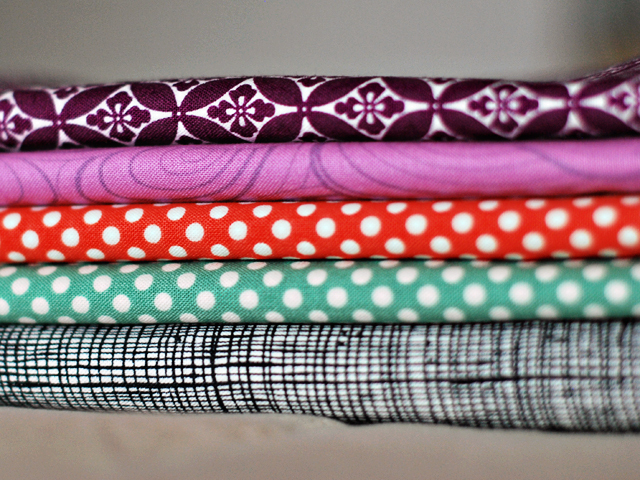 So many lovely fabrics and so little sewing time. UGH! That road trip bundle is perfection! Yes, would look great with linen.